Online poker for Danish players has been tightly regulated for years. However, things are changing, a circumstance we’ll describe in more detail below. Those who live in Denmark, and want to play poker online, will soon have many more options than they currently enjoy. The market for poker is growing in Denmark, with women becoming increasingly interested in playing the game. As a result, major international poker sites have their sights on establishing a presence in the country. We’ll explain some of the obstacles Denmark poker sites confront in reaching Danish players, including some of the rules that restrict them. Online Poker Games In Denmark: Is It Allowed? Yes and no. If you live in Denmark, you can play online poker. This has been the case for years. However, by law, you are expected to play at Danske Spil, a government-controlled gambling website. Danske Spil is essentially a gambling monopoly in Denmark. Originally, it had only offered a lottery-type game along with other numbers-based games. The site teamed up with PartyPoker a few years ago to expand their gaming coverage. As noted earlier, online poker games in Denmark are heavily regulated. The country’s government claims a large portion of players’ winnings in taxes. As an example, when Danish player Peter Eastgate won the 2008 WSOP, he was forced to forfeit much of his prize to the government. We also mentioned that things are slowly changing with regard to Denmark poker sites. A decision was made by the government in 2009 to eliminate the Danske Spil monopoly, allowing online poker rooms from other countries to reach Danish players. The legislation to make this a reality has been postponed as the government attempts to transition from a monopoly-run online poker “industry” to a more open environment. Much is still unclear regarding what is to be expected of online poker sites in Denmark. At the end of 2010, it was believed that the sites would be taxed at 20 percent. They would also be expected to pay an annual licensing fee of up to €200,000 (in addition to a €36,000 application fee). These details may have since changed. Also, because the country’s government has maintained such tight control over the market, it was suspected that the industry would operate similar to online poker in Italy and France. In both of these latter countries, poker sites must be exclusive to the country. For example, PokerStars needed to establish PokerStars.it in order to reach Italian players. As it turns out, however, Denmark poker sites online are not required to be exclusive to Danes. BetOnline – They started in the online casino market in the early 1990s, and have since duplicated their success in the online poker market. 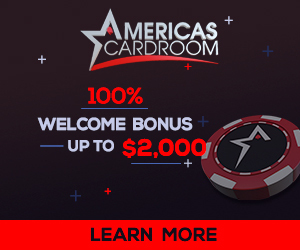 BetOnline offers Texas Hold’em, Omaha, and 7-Card Stud, as well as deepstack tourneys, 6-max turbo events, and $150,000 in monthly guaranteed tournaments. Their player traffic is less than that offered by the industry’s top sites, but they make up for it by attracting plenty of fish. Visit BetOnline.com today in order to grab a 25% matching sign-up bonus up to $900. There are currently very few Denmark poker sites online that are as well positioned as the four listed above to attract Danish players. In fact, they may have already established a foothold. Take the time to visit and test drive each of them to determine your favorites.